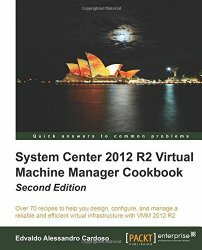 In case you did not read the Microsoft KB, after applying Update Rollup 4 for Virtual Machine Manager (http://support.microsoft.com/kb/2992024), make sure you manually update all VMM Hyper-V hosts and the VMM Console. 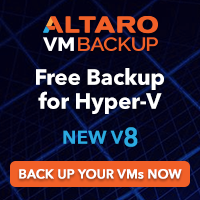 Note: If this component is not updated, virtual machines may not be assigned an IP address for several minutes when the lease expires or after restarting the VM. Note: By default, this is C:\Program Files\Microsoft System Center 2012 R2\Virtual Machine Manager\SwExtn\DHCPExtn.msi. Double-click the DHCPExtn.msi to start the installation, and then follow the steps in the wizard. I have been contacted by some people asking about backup issues they are experiencing on Windows Server 2012 . The issue is related with the Microsoft November update release KB3000853. My recommendation is to remove the update until Microsoft fix the issue as it affected Microsoft and third party backup products. “We are getting reports that some customers are seeing backup jobs fail after installing the latest Windows Updates including the November rollup (http://support.microsoft.com/kb/3000853).